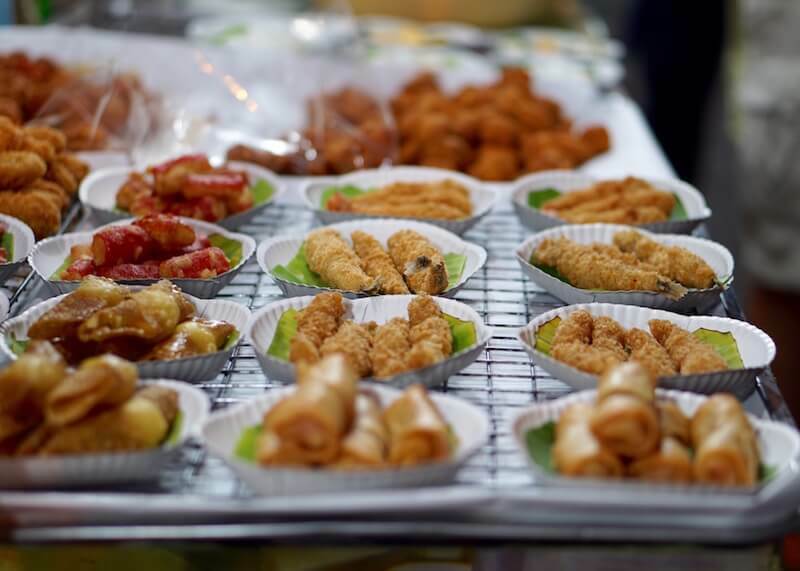 If you read my previous post about Bangkok food, you’ll know that Bangkok is foodie heaven to most, and desserts are no exception. 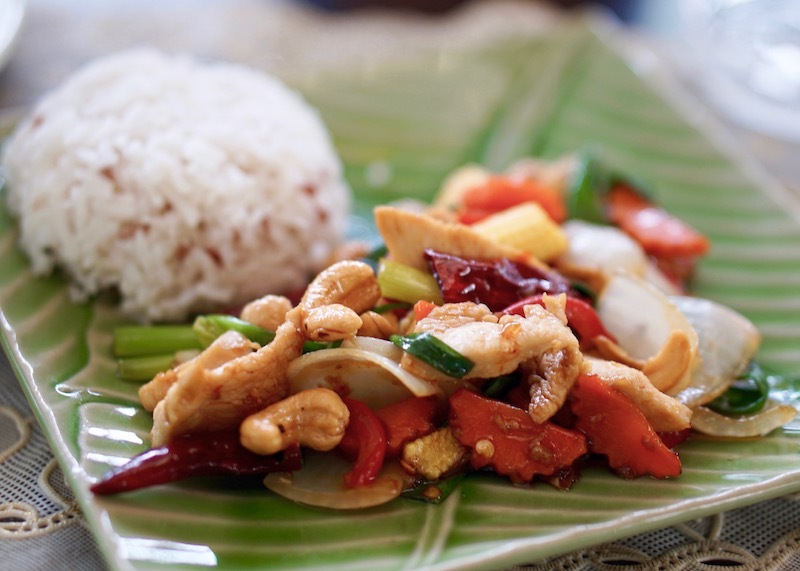 Like most big cities in Asia, Bangkok has plenty to choose from when it comes to food options. Surprisingly, finding dessert in Bangkok was a struggle. Why? 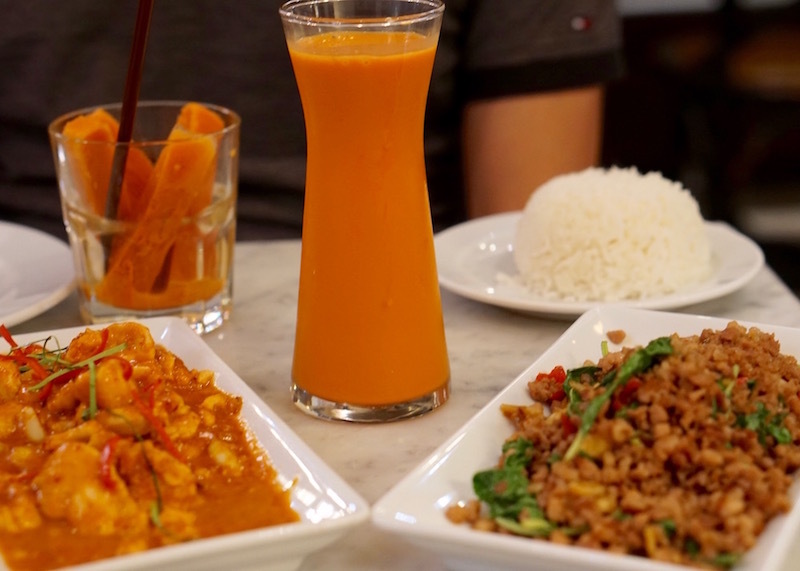 Because dessert in Bangkok is super pricey and costs more than two (or more!) meals. Sadly, dessert in Bangkok is deceptive in that it often looks better than it tastes. 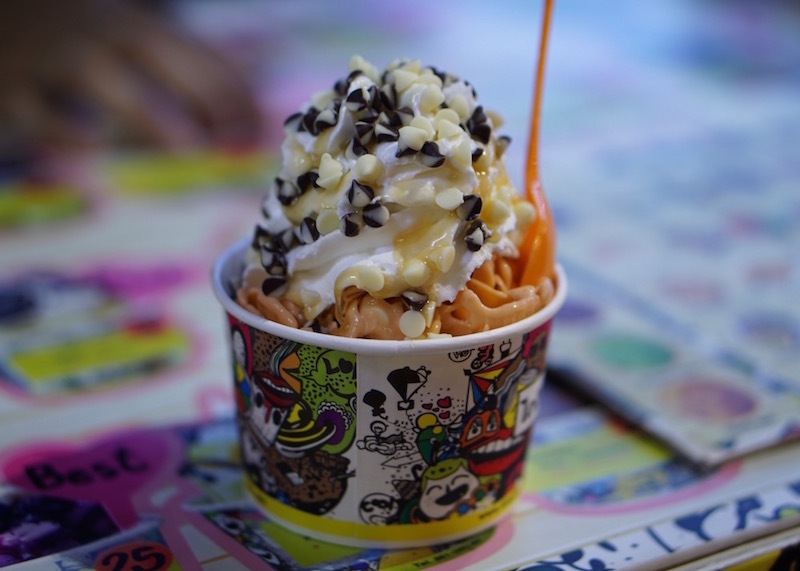 Now, I am not a picky eater when it comes to dessert, but I found most desserts in Bangkok were too sugary. It’s almost as if the vendor added a lot of sugar to mask a flavorless dessert. 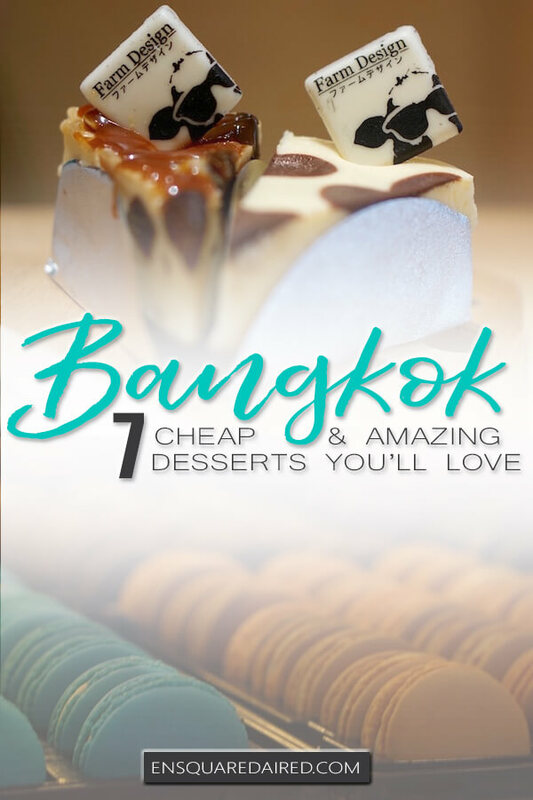 After trying tons of different desserts, I have put together some recommendations for dessert in Bangkok. 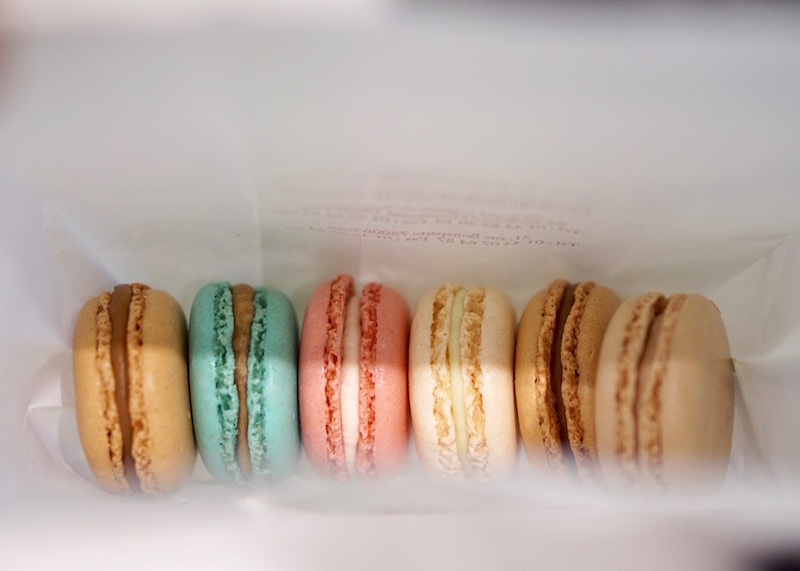 Ladurée is famous for its macarons, and that’s no surprise, considering the company’s rich history and delicious macarons. Apparently, the recipe for these macarons still uses the original recipe from the 20th century. 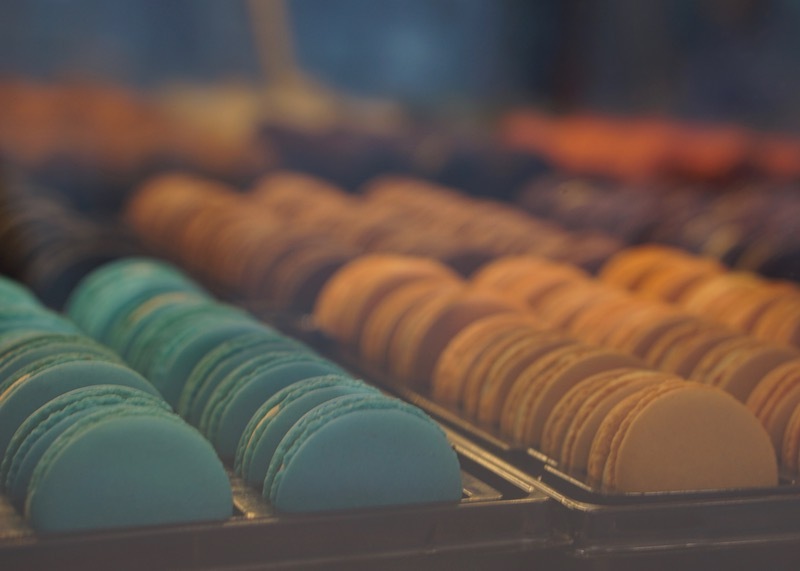 While all macarons contain the same essential ingredients – egg, ground almond, icing and granulated sugar, it is the distinctive flavors and fillings that sets them apart. I’m super addicted to all green tea desserts and would have never imagined anything else could top this flavor… until now. While on my month-long trip to Asia, I discovered hojicha flavor for the first time (which rock have I been hiding under, you ask? I’ve been asking myself the same question). So what exactly is Hojicha? It is a Japanese green tea that is roasted in a porcelain pot over charcoal, turning the leaf colors from green to reddish-brown, which brings out a slight caramel-like flavor. While I am not a big fan of mochi, these delicious bite-sized rice cakes from Mochi Sweets are so good that I went back to this mall just to get some more mochis for dessert. 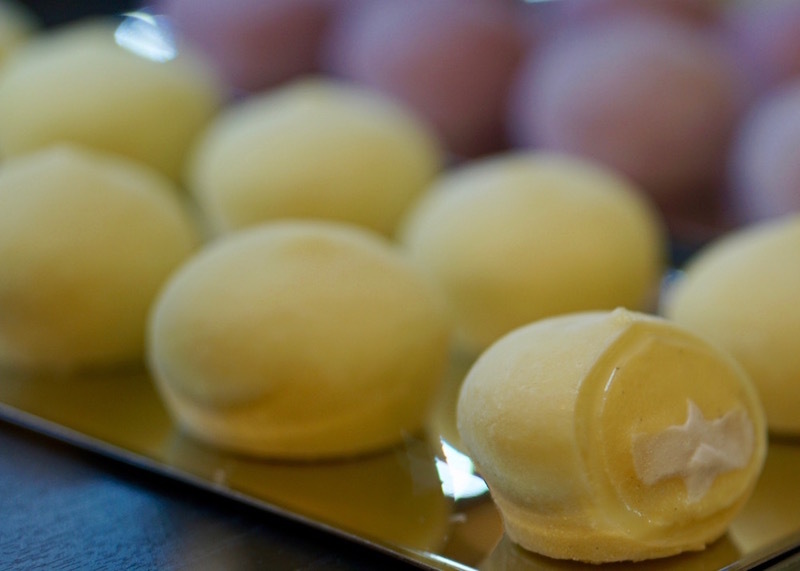 What makes these mochis taste better than the other ones I’ve tried are the three layers; the outside layer is not too thick and chewy while the middle and inner layer has creamy flavored fillings. Thai milk tea is ubiquitous everywhere you go in Thailand. 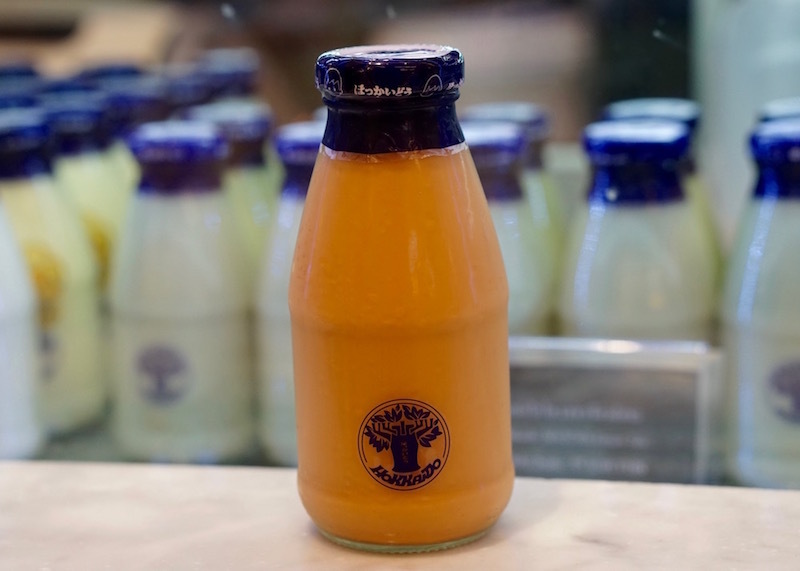 However, Thai milk tea can vary significantly, depending on how the vendor mixes the key ingredients. Of all the Thai teas I tried, Number One Original Thai Tea Shop is definitely one of the best vendors for Thai milk tea. While the basic ingredients remain unchanged, the combination of ingredients makes each tea brand different from the other. This sweet drink is made from strongly brewed black tea, orange blossom water, star anise and crushed tamarind seed. 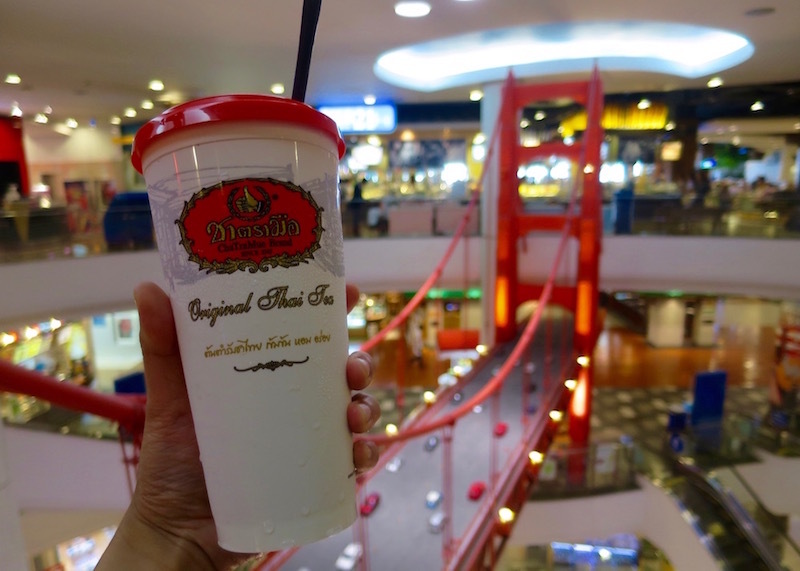 The tea is then sweetened with condensed milk and sugar, making it a refreshing drink on a hot day in Bangkok. What I like about this particular brand of milk tea is that the tea is not overly sweet, and the brew is just perfect. 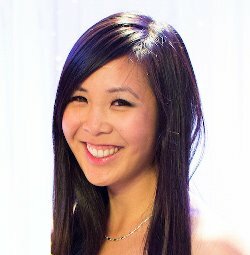 Ok, so I totally went for looks when I went after this dessert from Audrey Cafe. 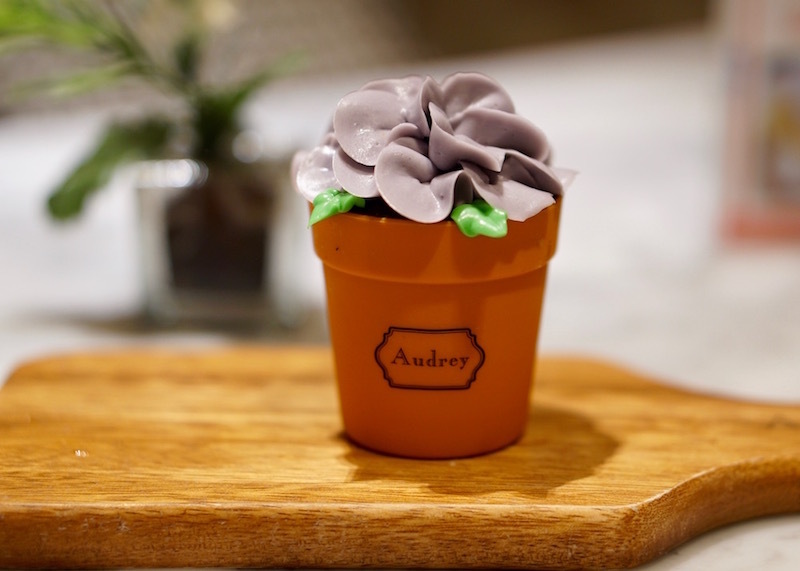 But really, who can resist not trying this cute looking flower pot? I was absolutely torn when deciding whether to buy this dessert because I’ve been burned a few times in Bangkok, where the dessert doesn’t taste as good as it looks. After spending 10 minutes deciding on whether or not I should get this dessert, I opted to go for it. Sadly, I was right that this treat was nothing special, it just looks lovely. It’s still good, considering how it is a vanilla cake with cream filling and looks oh-so-cute in a flowerpot. But nothing special… my lesson learned here is to ask for samples before buying dessert. 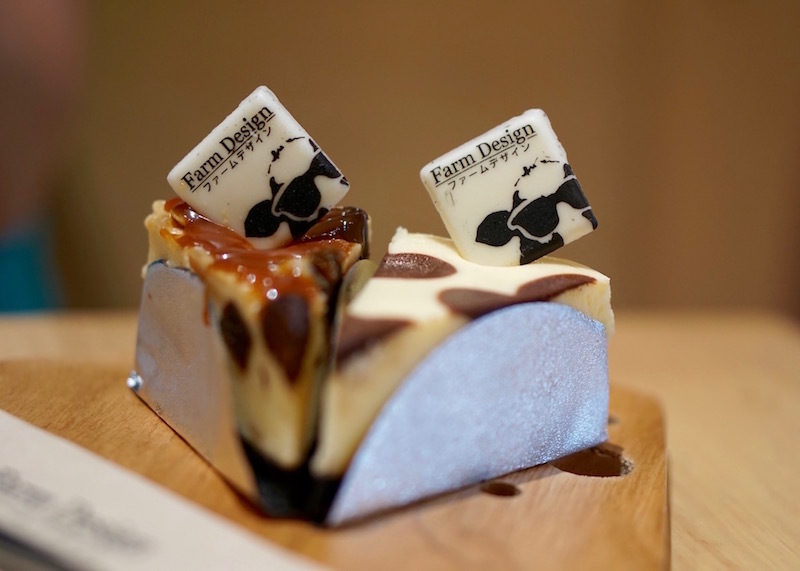 Farm Design cheesecakes are so delicious, and rightfully so! Hokkaido milk is in all of their desserts, which is superior quality milk, leaving their cheesecakes tasting delicious and creamy. Don’t ask me how it’s made; I just notice that anything with the word Hokkaido tastes really good. Before visiting Singapore, I wasn’t too familiar with Hokkaido milk but became curious after seeing it everywhere. After tasting Hokkaido products and seeing how good they are, I became even more curious as to what makes this type of milk so different from the rest. Turns out, dairy products from Hokkaido are famous because of the way they treat their cows. The cows live in natural surroundings, are stress-free and roam around eating grass. Because of this humane treatment of the cows, their milk tastes a lot better in comparison to milk in North America. The fact that cows are humanely treated, and the product tastes delicious makes this drink a huge win in my books. 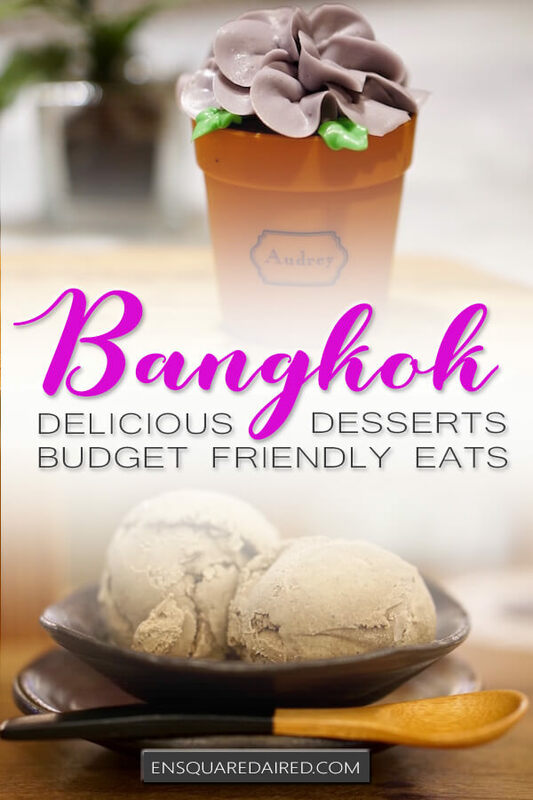 Similar to my Chiang Mai dessert post, Bangkok dessert is pricey in comparison to regular meals. This is likely due to sugar and dairy costing more than other ingredients. Either way that shouldn’t stop you from trying these delicious desserts. 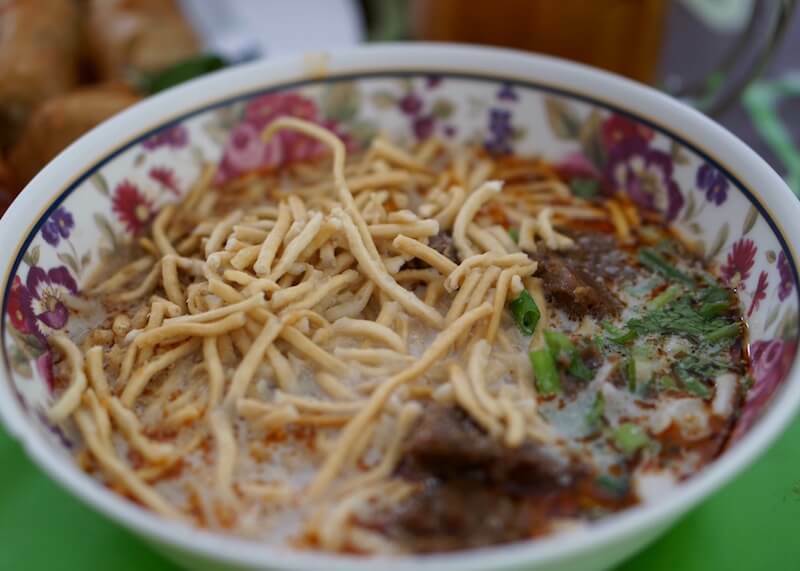 9 Of The Most Delightful Food To Eat In Bangkok Chiang Mai Street Food | 7 Affordable Dishes You’ll Want To Try Some Of The Best Desserts To Try In Chiang Mai Authentic Thai cuisine | 6 Dishes To Try On Your Next Trip You Will Love Zabb E Lee’s Terrific Chiang Mai Cooking Class Why Cooking Love In Chiang Mai Is So Popular This Is What The Bangkok Train Station Looks Like (Aka Hua Lamphong Station) What is the best way to get from Bangkok to Ayutthaya? haha, now you know what it is. 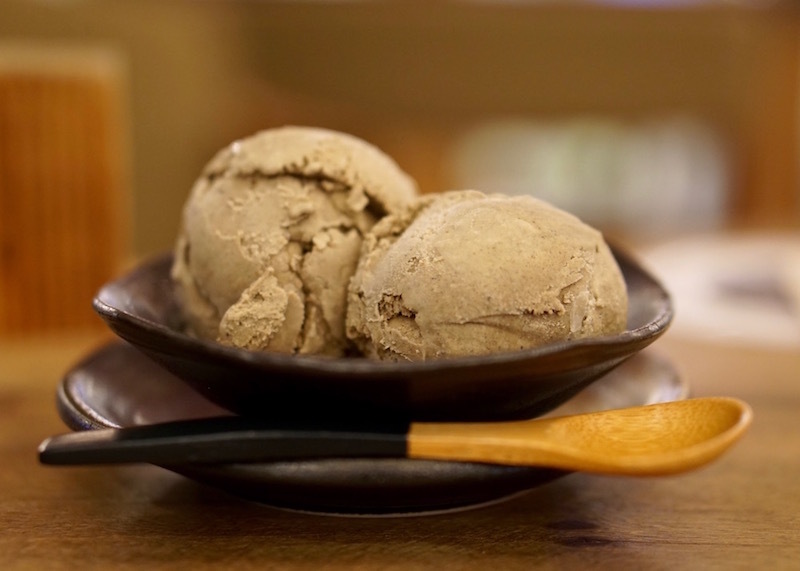 Have you tried hojicha yet?